Can you handle the the truth about extraterrestrials? 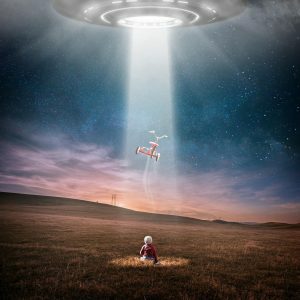 The most common reaction to expect if you dare to report a sighting of a UFO, or if you should express the view that we are being visited by extraterrestrials, is ridicule. Anyone foolish or brave enough to admit to either of these runs the risk of losing respect, credibility, and social standing. You may even lose your job and many of your friends. Ridicule persists because we tend to laugh in the face of fear and the potential existence of alien civilisations is a scary subject. It is also a clever mechanism for hiding the truth. Convince the majority to pillory the minority and you can enlist the public to keep your secret safe. We mock those who raise this topic because for many the very idea that extraterrestrials visit and interact with us shakes them to the core. People like to belong, and the crowd is the comfort zone. Far better to point and laugh along with everyone else than to stand shoulder to shoulder with an individual suggesting what to many, is heresy. If ETs exist then it throws so much into doubt; history and religion to name but two. Reputations could ruined, books trashed, and religions debunked. We put our trust in scientists i.e. the people we like to think of as rational and sensible, who check the facts and carry out experiments to determine what is real, what is unproven theory, and what is fantasy. Yet these same experts have pointed out that our galaxy is vast, and it is only one of billions of others. They point to the mathematics of probability and, thanks to advances in technology, they have recently confidently announced the discovery of exoplanets capable of sustaining life. Experts in physics, astrophysics, and cosmology try to explain to us that the Universe is far weirder than we can imagine and that it may be one of many. So far, so what? What if there are intelligent lifeforms on some distant world? What evidence is there that they could communicate with us, let alone drop by and pay a visit? Well, there is ample evidence according to Dr Steven M. Greer and his team. The Disclosure Project 2001 National Press Club event was a milestone event. Despite the event, the witnesses, and all the evidence collected and shared, life carries on as before. It’s as if the momentum of the conference, all the YouTube videos of expert witness testimonies, the film, the book, and the lecture tours, were not enough to convince a large enough section of the population that there was anything significant to change their world view. It was also not enough to convince many that know much, much more to step forward and expose what has been hidden. Life has carried on as before and the status quo has been maintained. The wars, pollution, religious fanaticism, and other mad and self destructive habits of the human race continue. it seems the paradigm shift needs another push. Is this finally the truth about extraterrestrials? Sixteen years have passed since the 2001 press conference and a new film is released. Unacknowledged focuses on the files and testimonies that were collected during the Discloure Project. It explains how the information about ETs and free energy technology has been suppressed by those shadowy and secret organisations that have a vested interested in keeping us slaves to fossil fuels. If we had access to the technology inherent in crashed ET craft then we’d end our reliance on oil, coal, and gas. There would be free energy for all with the knock-on effects of ending hunger, poverty, pollution, and many other ubiquitous problems that hold us back as a civilisation. Access to this free energy technology would revolutionise life on Earth and we could concentrate our efforts on exploring the galaxy. Unacknowledged is the film and book that details many of the best expert witnesses testimonies. It lays it all out page after page; the names, ranks, responsibilities of the men and women in the military, the NASA scientists and astronauts, the FAA Air Traffic Controllers, the members of the many government security organisations. However far fetched things may seem, remember who is doing the talking. Pay close attention to their experience, rank, and position in government, military, and commercial organisations. Read, watch, keep an open mind but be alert for the lies, denial, and deceit. False Flag Operation – The Aliens are invading! We may see a hoax alien attack within the next few years or more. We may see what appear to be ET craft attacking us but which are in fact ARV (Alien Reproduction Vehicles) i.e. 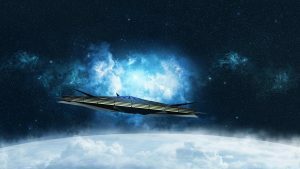 spacecraft that have been created by humans usual alien technology with the purpose of testing it and subsequently used to deceive the public. 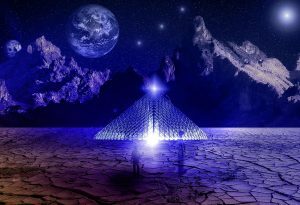 The hope for the future is that we don’t get fooled and enough people bypass the conventional chains of command but making contact with ET through the CE5 Protocols – a series of meditative techniques that send out a signal to which ETs respond and in light of which they make an appearance. To weird? Too frightening? Watch it yourself and make up your own mind.